"Leap Year" revolves around a woman, Anna (Amy Adams), who plans to fly to Ireland to propose to her boyfriend on Leap Day, February 29th. 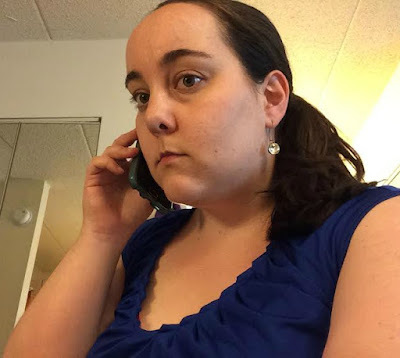 She had been waiting for him to propose to her before he left on a business trip to Ireland, but instead he gives her a pair of diamond earrings. Anna decides to take things into her own hands and fly to Ireland to surprise her boyfriend. She hears about the Leap Year tradition through her father, whose mother had proposed to his father on a Leap Year in Ireland; according to Irish lore, a woman is "allowed" to propose to a man on a Leap Day. Although she originally dismisses it as a stupid tradition, Anna becomes desperate and ends up doing the exact same thing. When she arrives in Ireland no flights are operating due to the weather, and she meets a man (Matthew Goode) who agrees to drive her to Dublin. And that's when things get complicated! 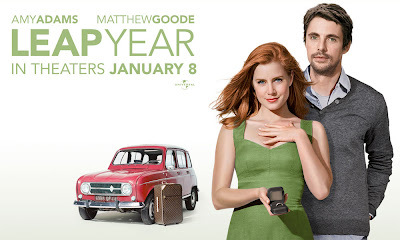 Amy Adams and Matthew Goode have great chemistry together, which makes the movie fun to watch. John Lithgow also has a small role as Adams' father. The Irish scenery is beautiful to see on the big screen, as well as the few shots of Boston (where Anna and her boyfriend live) that appear in the beginning and end of the movie.